Ms Naw K’nyaw Paw (left) unexpectedly meets an old friend at a meeting with the Karen Organization of San Diego. She holds a photo they took together on the Thai-Burma border in 2008. Photo captured by Brittany Lynk. Courageous women inspire others, and Naw K’nyaw Paw is no exception. Born displaced in Burma, Naw K’nyaw Paw spent her childhood constantly on the run. After settling in Mae Ra Moe refugee camp on the Thai-Burma border, she distinguished herself as a human rights activist at an early age. Now, with 20 years of experience and extensive knowledge of trafficking in persons, the rights of the displaced, and the peace process, she is the General Secretary of the Karen Women’s Organization (KWO). Under her leadership, the KWO was the first of three women’s civic society organizations in Burma to publicly condemn the military-led violence against the Rohingya people in Rakhine State that began in August 2017. Part of a larger pattern of conflict with ethnic groups, Burma is considered to have one of the longest ongoing civil wars in history. Ultimately, KWO envisions a more inclusive and united Burma, where all ethnic groups can live in peace and without fear. In the spirit of collective learning and leadership, Naw K’nyaw Paw and eight other awardees are currently embarking on an exchange with the International Visitor Leadership Program (IVLP), which connects foreign leaders with their American counterparts for short-term visits in the United States to build mutual understanding on foreign policy issues. 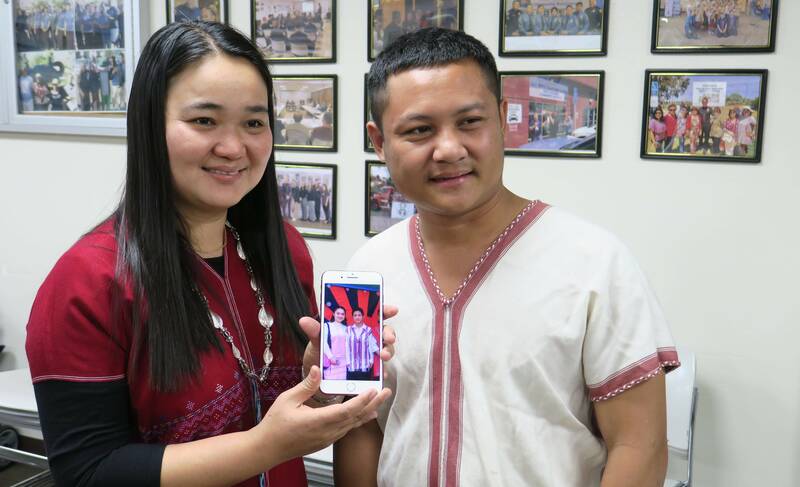 For her IVLP visit, Naw K’nyaw Paw has traveled to San Diego, California, where she will meet with community-based organizations that address issues such as gender-based violence, community building and empowerment of women and minorities.